Hello, I'm Ashley Reed! I'm a freelance cartoonist currently creating a webcomic titled 'The Pirate Checklist', a free-to-read adventure/comedy about an impulsive girl, Alynne, and her journey to become a legendary pirate! ...except she's doing it all wrong! To help her along, an unlikely ally provides a checklist of everything a good pirate needs. However, when Alynne catches the attention of the most infamous of pirates seeking to take advantage of her naivety, will she stick to her list, or succumb to the worst of influences? The Pirate Checklist is my first passion project I've spent the last several years developing alongside of, and after launching March of 2018, has been updating every Tuesday since. Through it I've grown a love of the art of creating comics, and your support will help further my craft and career, as well as the future stories I have to tell! My full-time patreon goal is to release two pages for "The Pirate Checklist" per week, and begin posting a future story project alongside it. With your help I will be able to do what I love for a living instead of working minimum wage in retail and manufacturing. Thank you for your time and support, and thank you most of all for reading my comic! If you're new, you can read my comic HERE! Even as a Cabin Boy you are still appreciated! Every good crew needs one, and your support will not go unnoticed. Sneak peeks to WIPs of illustrations and future wallpapers, The Pirate Checklist related or not. The power of suggestion! You'll get to suggest and vote on illustration/sketch/wallpaper ideas! See monthly illustrations before they're posted on social media. Each month I'll be doing an illustration, sometimes TPC related, sometimes just original things I think of, and you'll get to see these months in advance before the rest of the internet. Welcome to the crew, new recruit! Full-res printable PNGs of monthly Illustrations. Access to the Discord server along with special channels only available for Patrons. You will get your name featured in a special "Thank you" section on the comic's website. Access to monthly stream. 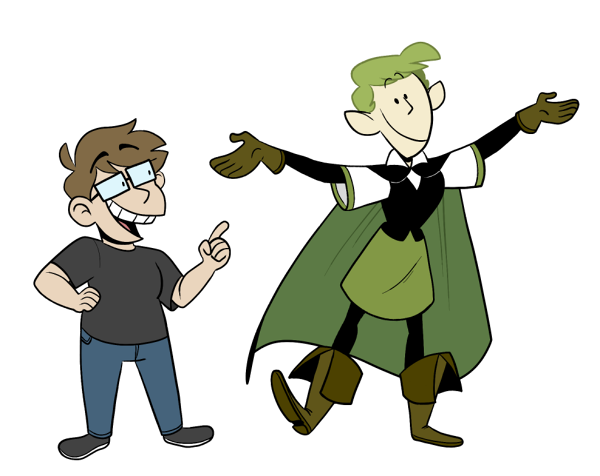 Streams may feature comic pages in the works, special illustrations, character designs, or even request streams! I'll be doing Q&A and even show off some secret things I'm working on. You'll get special access to posts that take a look at my process and the history of the comic, such as thumbnails, sketches, and old artwork of the comic and characters. I'll even be including recorded videos of my process with illustrations and comic pages I'm currently working on. Not only do you get your name featured on the comic's website, but you also get your website/social media linked as well! Congratulations! You're now (one of) the fine captain(s) of this crew! Being the captain is a big responsibility, and comes with a lot of perks! You will get early access to comic pages before they are posted! Please be respectful and avoid spreading spoilers. 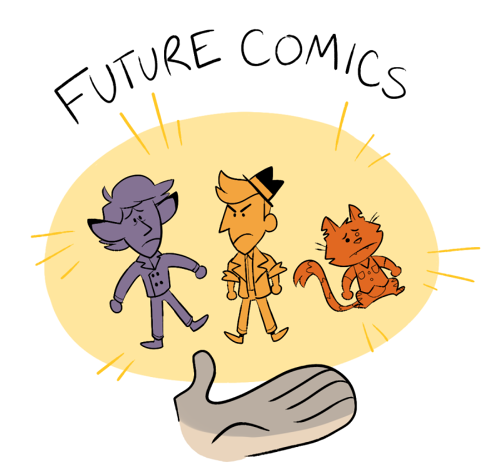 Early access to future new comics before they are released online! I have multiple other stories I plan to create in comic form, and you'll be the first to see them! Free Full-res PDF copies of any digital sketchbooks I make, before they are released to the rest of the internet. I sketch a lot, this includes character designs, prop designs, silly interactions, etc. These will also be sold via gumroad, but you'll get them for free and before anyone else! Thank you for the support! Whether a little or a lot, your support is definitely appreciated! Reaching this goal will help buy and maintain a secure domain, help get a proper website built, and afford to advertise.